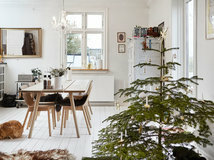 Scandinavian interiors are beautifully minimal, but that doesn’t mean they can’t be warm and festive, too. 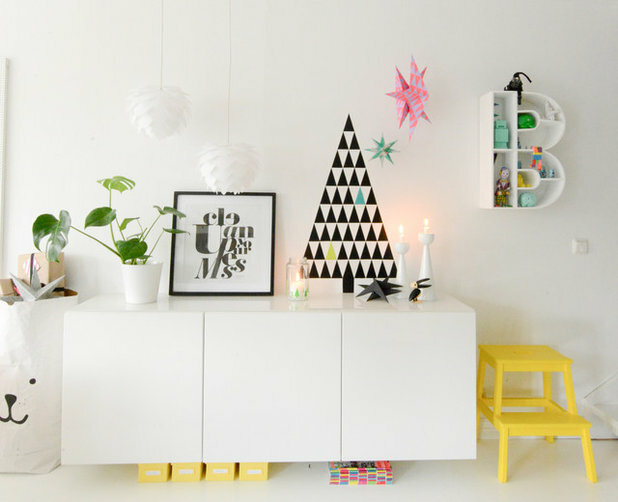 Follow these ideas to inject some Nordic style into your Christmas decorations. 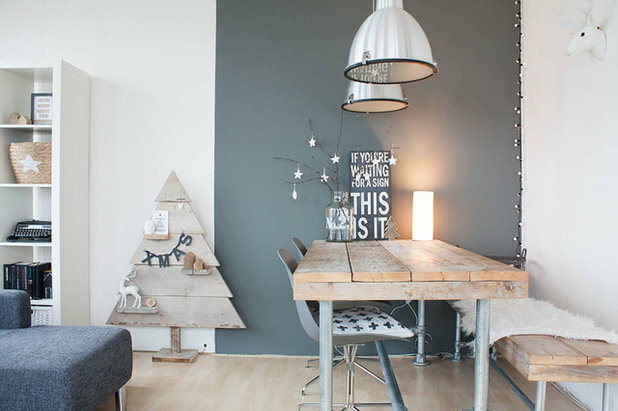 This elegantly minimal apartment has a colour palette of greys and bleached wood, with Christmas decorations to match. 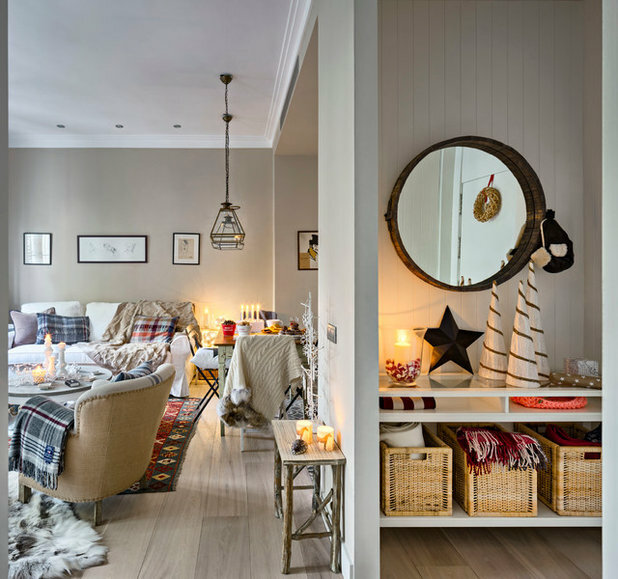 Natural elements, such as the vase of twigs, help to warm up the space, while a sheepskin throw and glowing fairy lights add to the cosiness. Intarsia knitting is a lovely way to bring in a hint of Scandi style at Christmas. 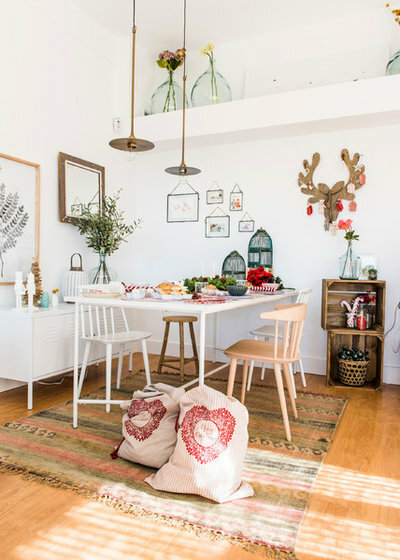 Hunt out red and white accessories and decorations created from Nordic designs. 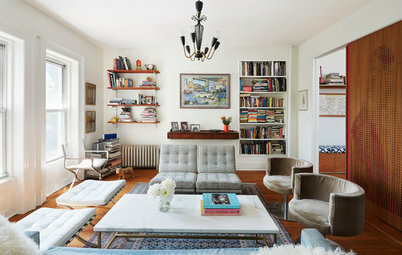 Here, some tiny knits have been joined by felt additions and hung from a contrasting white frame. 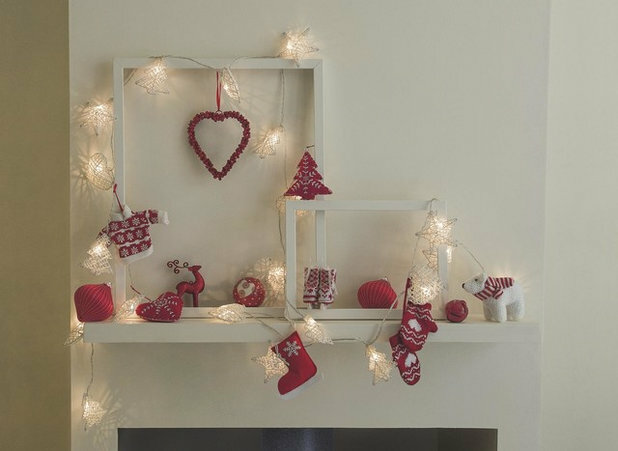 The star-, tree- and heart-shaped fairy lights show them off perfectly. 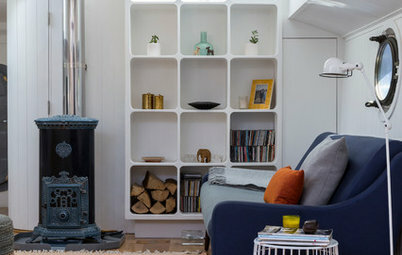 Scandinavian style is often pared-back, but that doesn’t mean it can’t be cosy. 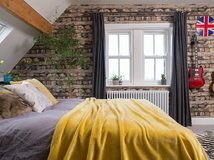 Bring in plenty of rugs and blankets to create a room to warm up in. 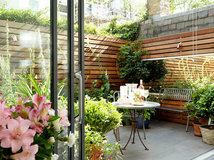 Add some battery-powered candles and you’ll turn a bright space into a Christmas grotto. 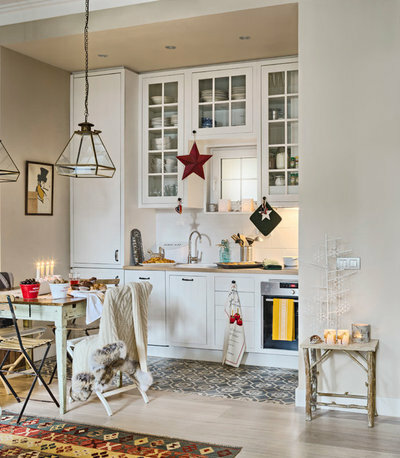 This pretty kitchen area has been given a festive lift with a few red accessories and decorations. 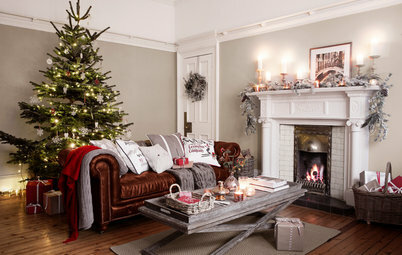 Together with the candles, they give a nod to Christmas without overpowering the room. For a Scandi-style Christmas lunch, make sure you lay a bright linen tablecloth adorned with simple red stripes. 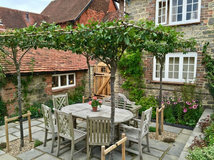 This table is classic and elegant, with some added greenery to give it a natural festive look. 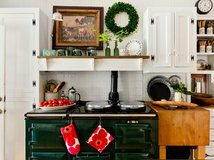 The star and wreath on the mantelpiece are another beautiful touch. 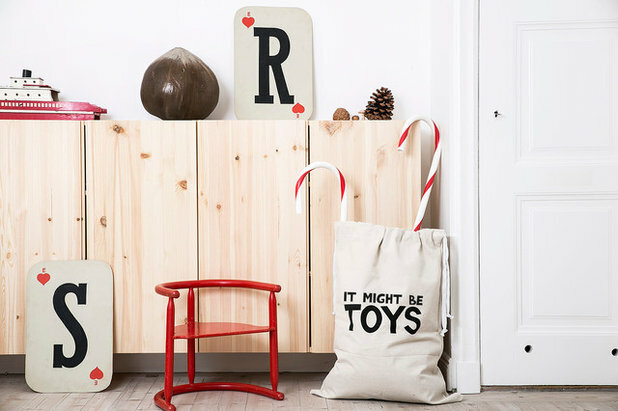 Recreate Santa’s Lapland grotto with a wall-hung reindeer’s head and some tantalising Christmas sacks. 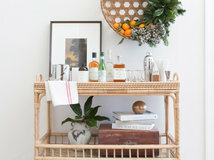 A hidden jar of candy canes adds to the fun. 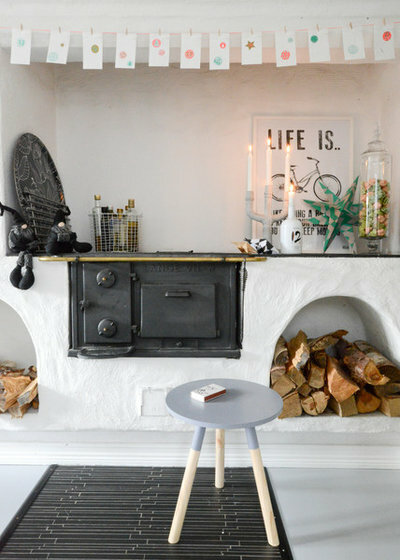 Scandinavian style is all about simplicity, and this sums it up perfectly. 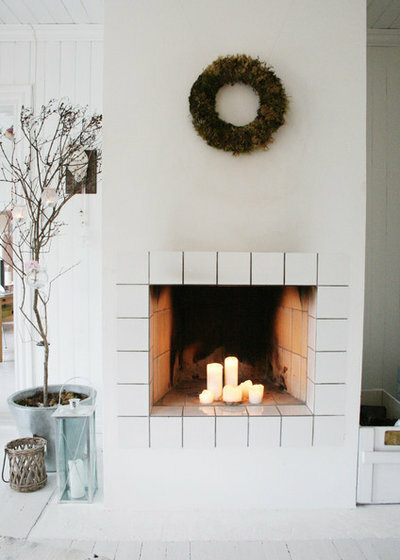 A white fireplace is lit up with a collection of white candles to give a lovely Yuletide glow. The only other decorations in the room are a wreath and fairy lights hung on the wintery tree. 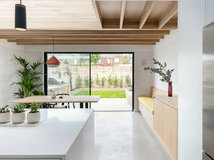 The homeowners have used light instead of colour to add a festive feel. In this evocative scheme, a few choice objects give some Christmas twinkle to the area around the wood-burner, while the logs make the space feel extra cosy. 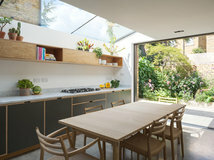 A garland of paper designs brings a hint of bright colour to the otherwise monochrome palette. 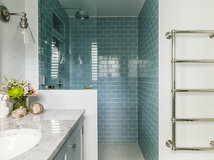 Go for a modern, streamlined look with a minimal selection like this. 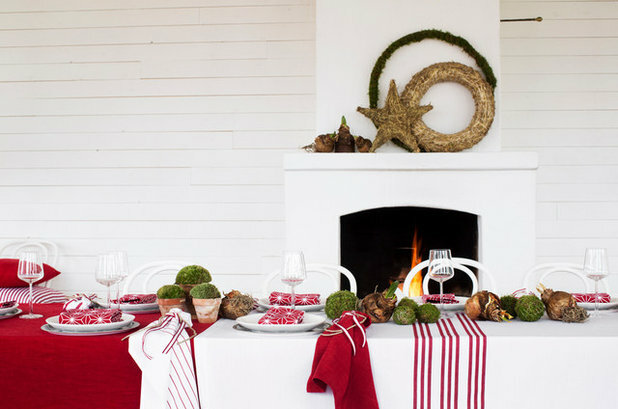 Red and white accessories, with a few additions from nature, give a festive flavour. Add some humour to prevent the whole thing looking too serious. Here, they’ve included a cheeky Christmas sack. 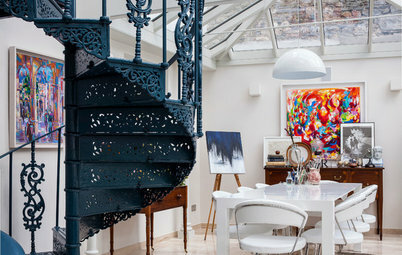 This colourful space is full of graphic designs that give it a playful feel. 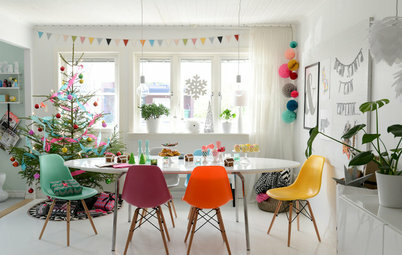 The Christmas decorations are fun, too, especially the geometric tree. It looks striking with the paper stars dangling in front of it. 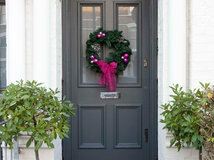 Do you have a particular Christmas style? 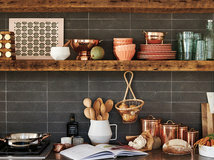 Or do you like to mix and match? Share your thoughts and photos in the Comments below. simonclayton72...How so? Can you explain so I can learn? Thanks. Oh dear! 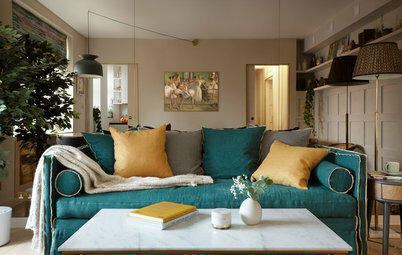 Maybe it's just that we all love what we've been conditioned to think of as Scandi, trad or mod, and want to inject a little bit of it into our own personal worlds. Is there really such a thing as 'authentic culture' anyway? Most anthropologists would say culture's what you imagine it to be, albeit in light of what we absorb from the communities around us. Surely it's about fun and comfort and what works for you? 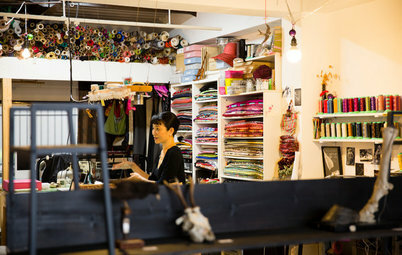 Appreciate the insights from people raised in a particular environment, though, especially the license to clutter once a year! . Let's all just enjoy Christmas! It is really nice to think around these points of view, isnt it!